This new snack I'm sure many of you had heard about it right but there is several different brand some say if fake! The original one famous people like is the twin fish one!! Now I try the twin fish and the Hepin both packaging almost look a same but the taste is a bit different! Twin Fish is less sweet and taste creamy! Hepin is a bit sweety but also creamy! Both brand also made in china, if you ask me which one is better I think I choose the Hepin is better than twin fish! Yalah... Everyone have their taste style! Some of you like sweet but some don't! I personal not really love to eat too sweet one especially those artificial food and drink very sweet type. 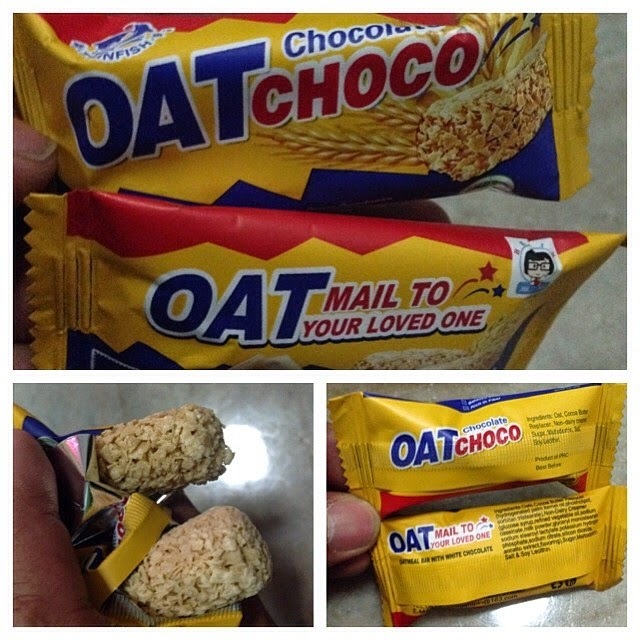 So actually all this Oatchoco or Oatmail I not recommended eat too much lah.. Sikit Sikit ok lah don't use it as your main meal. Really Hot This Few Day!! !